Franck Mesnel can't lose when France play England in this season's Six Nations Championship. The six-year deal with the Rugby Football Union announced this week means that his Eden Park fashion label now supplies clothing to both teams. He also has little doubt which of the two is in better shape. France may be the current Six Nations champions, but since then have suffered a miserable summer that saw consecutive 40-point hammerings inflicted by South Africa and persistent persecutor Argentina. "This was very poor and it was lucky that the football team was doing so well in the World Cup, or more notice might have been taken," he says drily. By contrast, he adds. 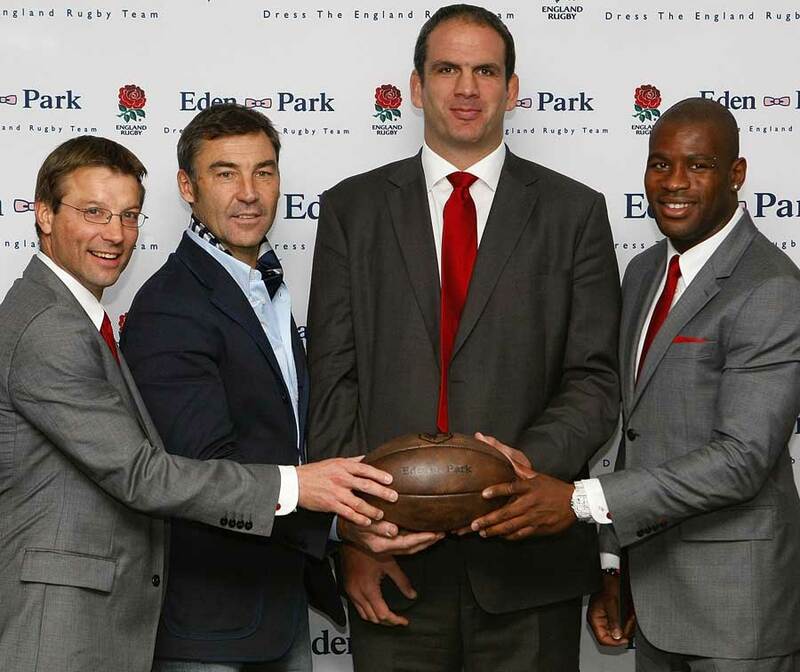 "Martin Johnson seems to have England going in the right direction." Mesnel, 49, won 57 French caps as a midfield back in the 1980s and named his clothing company - which also supplies Wales and has clothed the British & Irish Lions - after the ground on which he played the 1987 World Cup Final. Business and family demands plus his newly discovered hobby of flying mean he has scaled down direct involvement in rugby - giving up his work as a broadcaster and selling his share in his former club, Racing Metro. He describes his current role as 'a candid spectator' and is certainly direct in his perception that France go into their autumn Test series against Fiji, Argentina and Australia under pressure because of those June defeats. "We should be leaders, but at the moment we are only challengers," he says. His critique is not, though, of coach Marc Lievremont, but of the structures under which he has to work. Mesnel says, "It is a matter of the balance between the clubs and the national team. We should be favouring the national team, but we are not." His particular concern is the sheer length of the Top 14 season, with 26 matches plus play-offs. "This is far too long and it is simply not possible to play this much and still play well when it matters. It is simply not realistic and we badly need a new plan." Looking towards the coming international year, he expects to see reigning Heineken Cup champions Toulouse provide the core of the French squad. "They are our one complete club, built on the strength of their youth section. They are likely to be the basis of our team, at least in the backs with a very good group who are used to playing together. Among the forwards I would expect Clermont and Perpignan also to provide part of the mix." Elsewhere on the club scene Mesnel is delighted to see Racing, who had declined since he and his 'showbizz' contemporaries - whose jokily flash style was the genesis of the Eden Park brand - played in their last championship-winning team in 1990, back among the French elite. At the same time he believes the expensively assembled team that reached the championship play-offs last season and qualified for this year's Heineken Cup is still a long way from the finished article. "There are some very good players, but they are still a collection of excellent individuals rather than a good team," he says - adding that this is not a criticism of coach Pierre Berbizier, who has said much the same thing himself. He does, though, believe that the club is rebuilding itself in the right way. "I have complete confidence in Jacky Lorenzetti, the club president. I am 100% convinced that he is the right man and he is doing the right things." Mesnel, there is little doubt, would like nothing better than to be able to say the same about the structures of French rugby.